Who wants to make our boxes? Project Canvas has formally invited manufacturers to declare their interest in making devices to market in 2011. 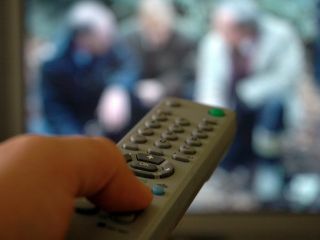 The IPTV project, headed up by the BBC, is looking for 'expressions of interest from consumer equipment manufacturers'. With manufacturers declaring their intentions, Project Canvas is hoping to rapidly engage new device partners and develop a 'broad base' of manufacturers that are involved in the scheme. Project Canvas director, Richard Halton said, "Canvas is stepping up its engagement with industry as we get closer to releasing the final set of technical documents to the DTG this month, and launching a consumer product next year. "Bringing on board further consumer equipment manufacturers will ensure people have the widest possible choice of devices and we remain focused on supporting the industry to stimulate a competitive market. "We continue to work closely with the DTG to develop common standards for Connected TV". Interested parties have until 5pm on 25 August to declare their interest – by emailing contact@projectcanvas.info. "Expressions of interest received by the closing date will be taken forward into a process to identify consumer device manufacturers to work with the proposed joint venture as Device Partners," adds the Canvas release. "The number of Device Partners taken on at this stage will reflect the resources that are available within the Project Canvas programme and engineering teams."